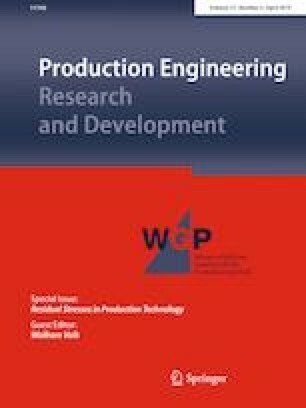 This paper investigates the evolution of quench induced residual stress for AA7085 and the distortion of machined product by pre-existing residual stress. Finite Element (FE) simulations using Abaqus/Standard were conducted for the investigation. A constitutive model based on two state variables representing microstructure and precipitation effects during quench was used for the simulation. Uncoupled thermo-mechanical approach was adopted considering that strain and strain rate during quench are generally small. The accuracy of the FE model was verified through the residual stress prediction for AA7085 rectangular bar where the predicted residual stress was compared with the measured results from a slitting method. In addition, the effect of pre-existing residual stress on the distortion of machined product was numerically investigated. The simulation results showed a good prediction for the distortion of machined product by residual stress. This work was supported by Korea Institute of Materials Science (Grant # PNK5050, testing technology for aerospace materials and components). The authors would like to express the sincere gratitude to Alcoa for providing the material properties. In addition, the authors appreciate LG core technology team for providing the geometry for a smart phone case.